Discovering the meaning of Islamic Art - Gould SydneyGould. Strategic Branding. Muslim communities around the globe are buzzing with inspiring and talented individuals that are achieving amazing things. These faith-inspired creatives and change makers are positively impacting all spheres of life. When I meet these individuals and communities I love to explore the intersection of our spiritual, creative and artistic journeys. The question often comes up, what does Islamic art mean today? When I first became Muslim, my design background motivated me to look for cool designer projects and innovative creative ideas from the modern Muslim world. I could sense how Islamic communities around the world were proud of their artistic heritage and an incredibly beautiful visual legacy, but where were the thriving, vibrant creative hubs and artists embracing new mediums and digital technology? I struggled to find them initially and started my own experiments, which led to a fascinating journey of creative discovery over the last decade. “Islamic Art” as we often think of it today carries hallmarks of more traditional art forms. What is sometimes overlooked is that these forms of art took many centuries to develop, evolving to reflect the culture of the places that Islam spread to and technologies they encountered. For example, the calligraphy art from the Ottoman era has a distinctly ‘Turkish’ style, and mosques in China have a strong influence from traditional Chinese architecture. This was vividly evident for me during a series of visits to Andalusian Spain, Syria, Morocco, Turkey and uniquely inspiring cities like Jerusalem, Mecca & Medina. For me, these travels were a lived experience of what I read from spiritual masters, who teach us that Islam is the metaphorical clear water running through a river that reflects the bedrock of the different cultures it touches. I love this analogy as it also made me think about the ‘bedrock’ of modern cultures that Islam reflects today, with its many beautifully vibrant, cosmopolitan hues. Travelling further abroad to Indonesia, Malaysia and a year in San Francisco helped me understand that this evolution of artistic, Islam-inspired expression is not stuck in time. The clear, pure water of Islam is not frozen, nor is the bedrock homogenous. 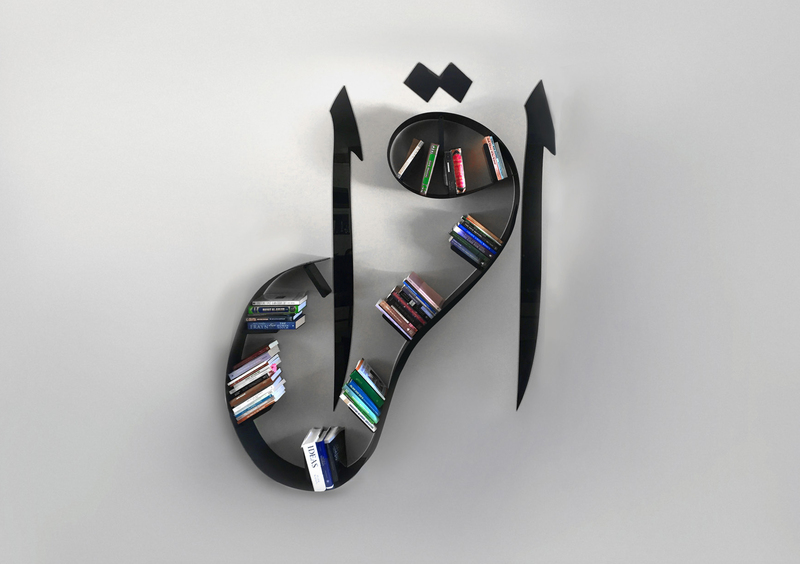 Islamic art and design continues to evolve, using new languages and forms of cultural expression such graffiti, digital experiences and even faith-inspired brands, apps or products. Living in our ‘branded environment,’ we arguably interact more with these branded products and experiences than with traditional art. In my work as a designer for numerous Muslim-centric brands, I often reflect on what my faith may have to say about modern-day brands. Could digital creative expression or social media imagery with Islamic-design influence really claim to have any relation to the deeply beautiful, sacred art and architecture I had experienced in classical Islamic cities? Recently, I was blessed to spend an evening with scholar Dr Umar Faruq Abdullah, who spoke with a deep understanding of Islamic art and how Beauty is the Splendour of Truth. He shared a story about a man in Spain who has a garden, and with every flower he plants and every brick he places, he is constantly making dua and saying bismillah. Dr Umar described this garden as the most beautiful place with an incredible calmness and presence about it. Those who experience the garden relate feeling an inner dimension of peace and ‘sakinah’. The whole creative design and construction of the space was done with deep spiritual intent, inspired by the gardener’s faith in the ultimate Creator. So perhaps intention is really the heart of what should be defined as Islamic art, design & creativity. Today, there are numerous burgeoning centres of the Islamic cultural and artistic world, including cities as diverse as Istanbul, Bandung, London, Chicago and Dubai. Each centre, indeed, every city in the world with a Muslim population – has the capacity to contribute to the ongoing evolution of what Islamic art means, from street art in Cairo, modest fashion labels from Jakarta or inspirational prayer apps from San Francisco. Dubai in particular has a unique opportunity to play a pioneering role in capturing the essence of a diverse and globalised Islamic cultural expression. Having spent much of this year in Dubai, I can see how it is truly a point of intersection for increasingly talented and visionary individuals to come together and grow creative communities. The burgeoning entrepreneurial scene with events such as MPowered Summit, the GIES and Innovation4Impact, are playing a pivotal role in creating a culture of reinvigorating Islam-inspired creativity & action. On the other hand, global digital & virtual platforms continue to open up opportunities for connection like never before, regardless of physical location. Recognising this potential, I founded Creative Ummah to foster these types of individual and collaborative connections. Creative Ummah is a platform to celebrate, showcase, and take inspiration from the wonderful things that Muslims all over the world are creating. I feel blessed and excited to be witnessing—and participating in—the expansion of what Islam-inspired art and design means. We must disrupt ugliness in the world with beauty, optimism and inspirational creative projects that illuminate and unite hearts. I pray that our actions are rightly guided, and we honour our spiritual & creative heritage by continuing to explore and discover the possibilities together, inshaAllah.